I've got a bunch of books like this in varying stages of completion. I use them to discover new color combinations. Sometimes I play around with new images, or practice using different brushes and techniques. 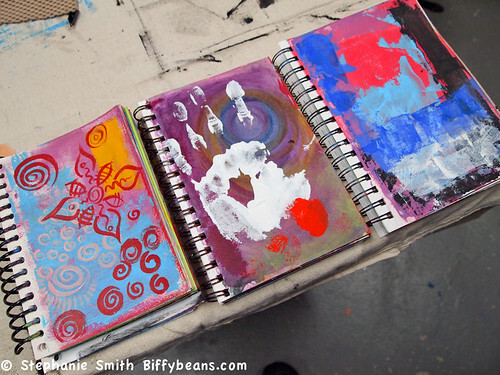 I typically use acrylic paint in these books but also watercolor paint and artist crayons. 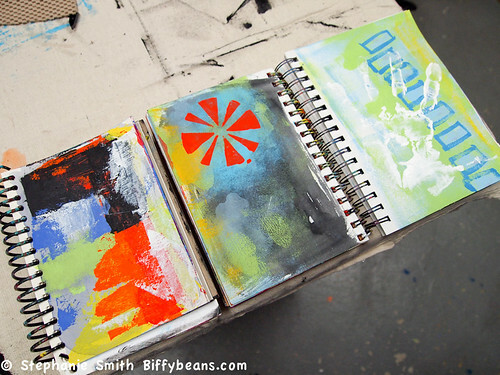 Acrylic paint is often applied with a palette knife. 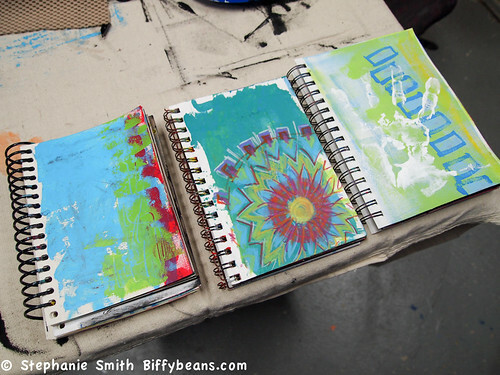 In the middle book in the above image I used a stamp that I created out of foam rubber. Those colors really jump off the page and look very summery. 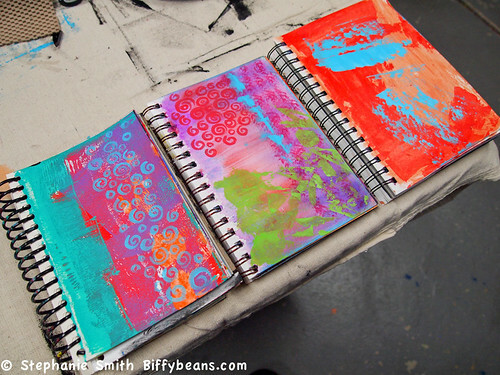 What a great way to experiment!